Maryland’s most premiere music festival is set to return for another hot and sunny year at the Pimlico Race Course. 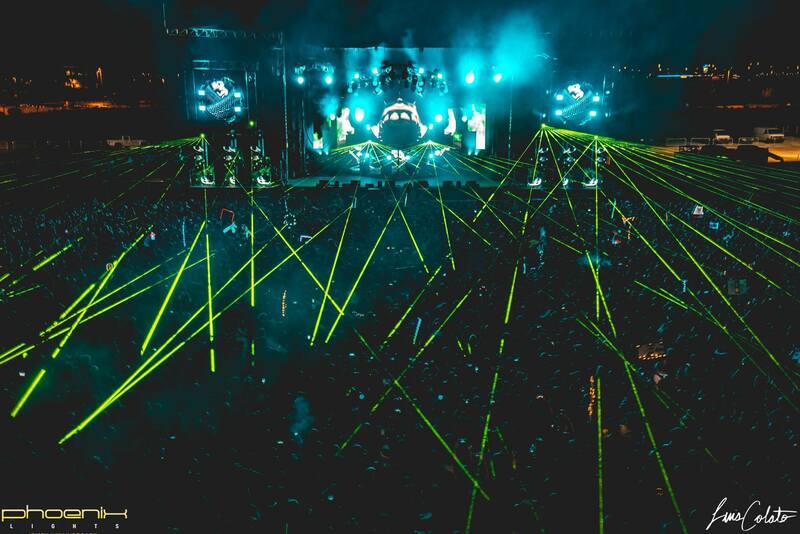 The two day festival will feature some of the hottest electronic acts out with artists like Kaskade, Rezz, Big Gigantic, Dillstradamus, Pretty Lights, Excision, and Seven Lions to name a few. For a breakdown of the artists by day, refer here. Moonrise had been slowly announcing which artists to expect with the last announcement of Pretty Lights arriving last week. This year’s festival will cater to a diverse blend of electronic with performances that will range from techno, trance, house, trap, and bass. In order to further prepare for this two day fiesta on the race track, RaverRafting has picked 10 tracks that you’re almost sure to hear at Moonrise. Be sure to keep your eyes peeled for set times and consider checking out some of these artists come mid August. In case you haven’t purchased tickets to Moonrise yet, you can do so by clicking here. Enjoy the tracks and we look forward to seeing you all in Maryland! The first track off her forthcoming EP, Rezz puts forth her signature sound in this dark, ominous track. Expect to hear this darkness and the entirety of her EP at Moonrise. Rising Chicago duo Louis The Child have been generating noise all throughout the electronic community with their future bass sound and impressive collaborations. Lush vocals provided by Elohim mark this LTC track as one of our favorites. The Brooklyn based producer came onto the electronic scene like a storm and has since been popping up at festivals like Lollapalooza, Electric Forest, Electric Zoo, and Moonrise. His dance friendly tunes have landed his live sets as nothing short of pure awesomeness. The first track to be released off his “Where I Won’t Be Found” EP, “Freesol” captures the essence of Seven Lions’ unique style. Euphoric vocals accompanied by a crushing melodic bass drop that makes for one hell of a track. LA based producer Rickyxsan is the newest member of the crew that runs with Slander and NGHTMRE. The rising star has been making a name for himself through diverse productions that have spanned from trap to future bass. His remix of Zomboy’s “Lights Out” is one of our favorite by Ricky and features hard hitting trap drums that give the track an explosive element. Expect to see Ricky crushing it come Moonrise. Who is Malaa? Doesn’t matter. His music speaks for itself so at the end of the day the identity of the anonymous producer is irrelevant. Probably one of our favorite tracks off his CONFESSION EP, “Diamonds” has long been played during his sets. The growing LA producers have been popping up at festivals across the nation with their mello-esque sound that have made them a dance favorite. Their productions have ranged from house, bass, and future bass. Be sure to check out ARMNHMR if you’re looking for a diverse set. This track is simply off the chains. Give it a long listen and prepare for the mayhem that will ensue when it’s dropped live at Moonrise. Released just yesterday by Gramatik and Galactic Marvl, this track caters to Gramatik’s bass heavy side as opposed to the electro-soul we’ve commonly heard. Expect this to be an absolute head banger come Moonrise. A Kaskade classic, this sing along banger has always been a fan favorite and we can almost be sure to hear this lovely tune during Kaskade’s set. Make sure to check out Kaskade if you’re craving an upbeat, euphoric progressive house set.